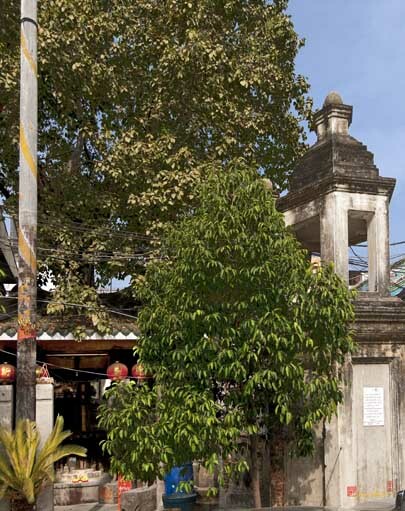 Wat Mangkon Kamalawat, วัดมังกรกมลาวาส, formerly called Wat Leng Noei Yi, was built in 1871 (B.E. 2414) by Phra Archan Chin Wang Samathiwat (Sok Heng) in order to disseminate Buddhism in the Mahayana Sect. King Rama V later granted a new name to the temple as Wat Mangkon Kamalawat. 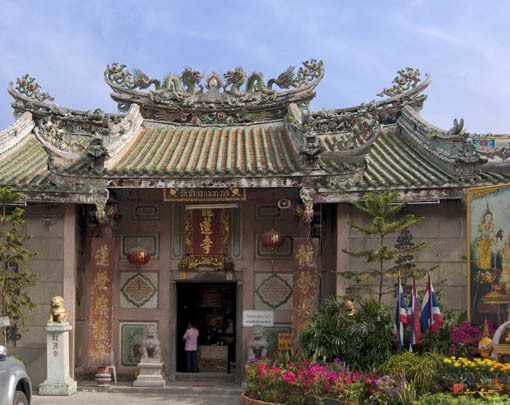 The Ubosot (Ordination Hall) was built in Chinese architectural style with the waving roof tile roof decorated with animal and floral designed stucco. The principal Buddha image is gold colored and in a Chinese style. If front of the Ubosot stands an altar for religious rites. Inside the Wihan (Sermon Hall) are the images of Thao Chatulokaban (the Four Guardians of the World) in Chinese warrior costumes. There are many statues of saints of the local Chinese belief. 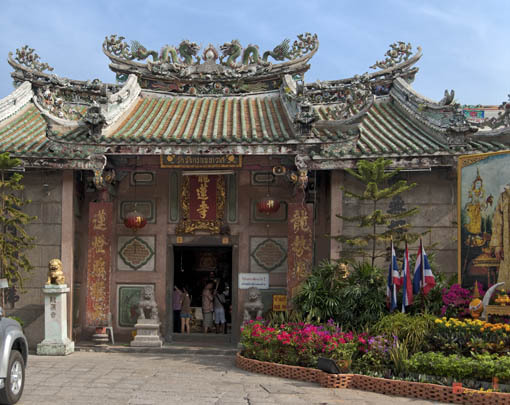 In the rear of the temple are three pavilions dedicated to Guanyin, the temple founder, and Lak Chow Saint. The faithful people believe that coming to pay homage to all the saints in the temple will bring them good luck in various aspects of live such as health, business or family.